Violinbwoy (Wojciech Przysiezny) is a musician and producer from Wroclaw in Poland who specialises in dub. 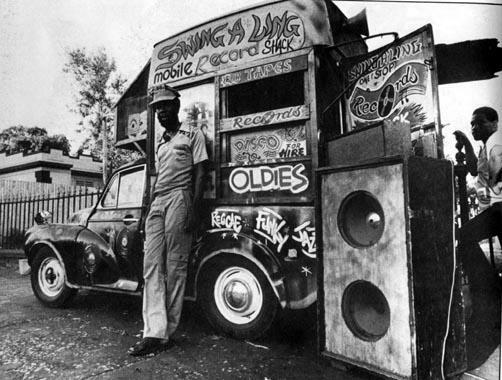 His tracks are certainly informed by the sounds of past dub masters but nonetheless have a vital up to date feel. He has previously been known for releases such as the Angelino Heights EP (2014) which rocks along firmly but gently. This new EP, Mono County, consists of eight tracks, with four vocal tracks followed by their dub versions. With guest vocalists David One Away, Dan I Locks and Dan I, the EP opens with Rumors of War (featuring David One Away), a brooding roots sound with a familiar sense of foreboding in its lyrics, followed by its version, Dub of War, which powers ahead strongly with repeat and delay effects used just right to keep up the pressure. The other tracks- More Songs (featuring Dan I Locks), Hold unto Jah, and Mammoth Lakes – are each followed by their dubs, making a tight and strong collection of new music. Mammoth Lakes in particular is notable for Violinbwoy’s expertise on- perhaps not surprisingly – the violin. The EP concludes with the doomy dub of the same track.